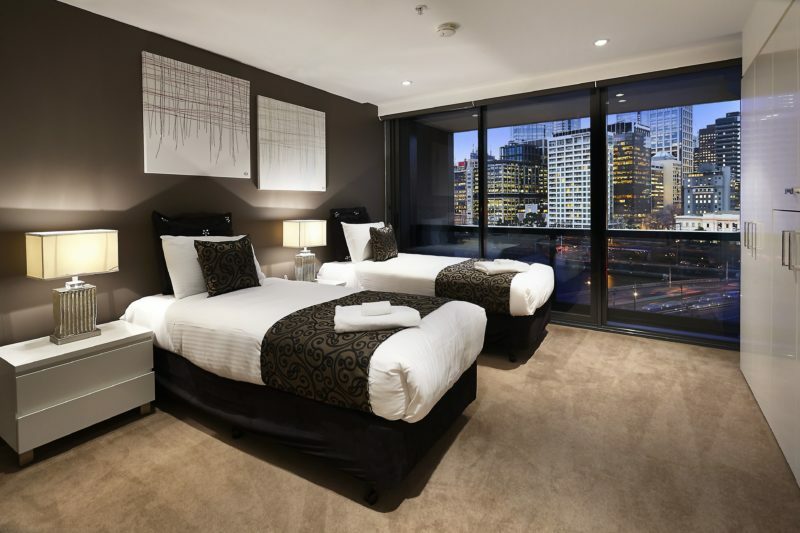 Gem Apartments, located next to Melbourne Convention and Exhibition Centre and Crown Casino, offers travellers well-equipped apartments with breathtaking views. Choose from one, two and three and four bedroom apartments which comprise of double and twin rooms, fully-equipped kitchens, open plan living areas, laundry, bathroom (washing machine and dryer included) and balcony. 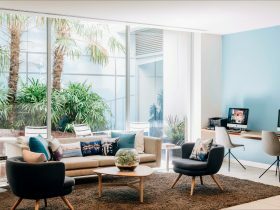 Tarriff includes fast and unlimited Wifi, 90 foxtel channels and parking for one car. 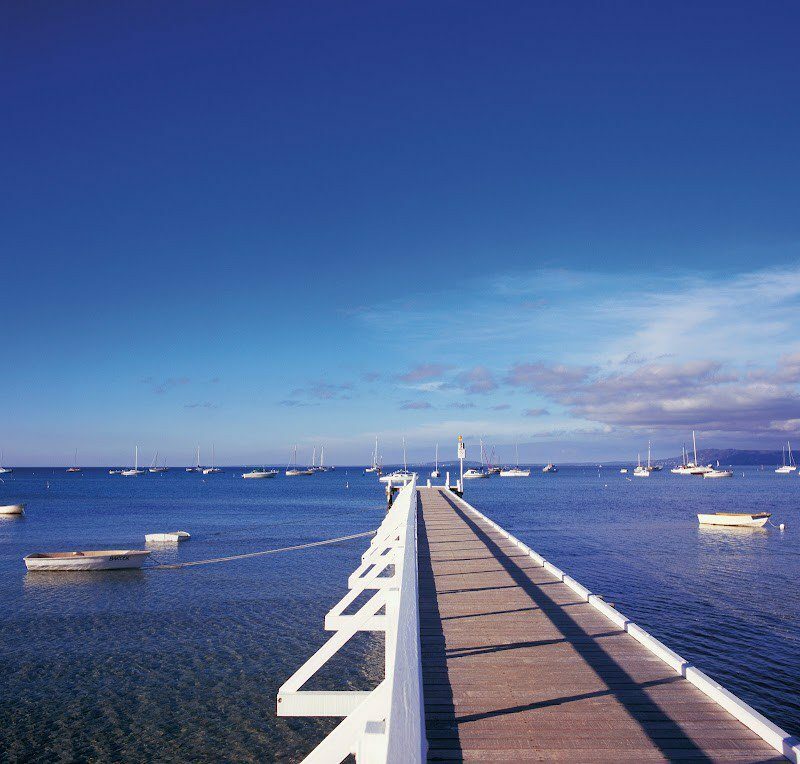 The best of Melbourne city is just a few minutes walk, along with supermarkets and the boutique shopping of South Melbourne Village. 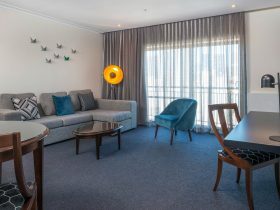 The apartment is directly behind Melbourne Exhibition and Convention Centre, Crown Casino and 150 metres from the Yarra River. The city is across the river and accessible by four footbridges. Facilities include heated pools and gymnasium. 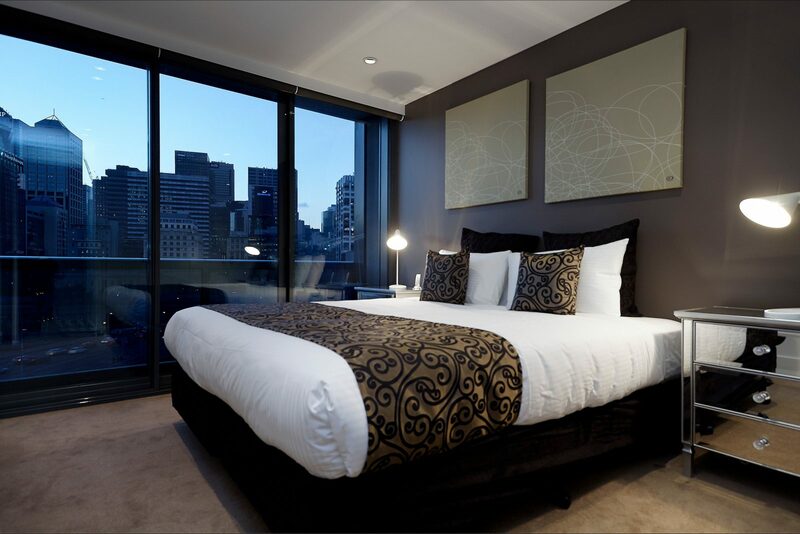 Gem Apartments offer a number of luxury apartments in Melbourne, for more details visit the website. Beautiful three bedroom, two bathroom apartments comprising king bed in the first ensuite bedroom and two split kings (each can be either one king or two singles) in the others. A seventh person can be accommodated in a fold out bed for an additional $50 per night. The open plan living dining area has a 50 inch flat screen television in the living room and 32 inch flat screen in the main bedroom. Photos were taken before the second television was put in place in the main bedroom. 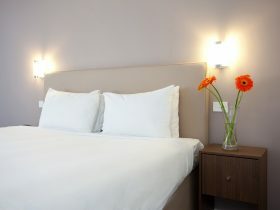 There is a fully equipped kitchen and the apartment also boasts euro laundry and family bathroom with a bath. The living area and the front (third) bedroom boast spectacular views over the CBD. 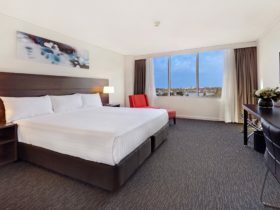 The main bedroom and second bedroom have views across South Melbourne, Port Melbourne, Docklands, the West Gate Bridge and Port Philip Bay. 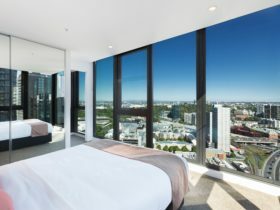 The Vue Grande building is located within 50 metres of the Crown Casino, Melbourne Exhibition and Convention Centres and the entertainment hub of Southbank Promenade. The CBD is directly across the river, a 200 metre walk. With amazing views, central location and chic decor and furnishings this luxury two bedroom, two bathroom apartment is a perfect location for a romantic holiday, corporate accommodation or families looking for that special place. This spacious two bedroom, two bathroom apartment on the thirty fourth floor is the perfect choice for travellers looking for something special. Open plan living areas, balconies and fully equipped kitchen boast spectacular views over the Yarra River, Melbourne’s skyline and to the horizon. Main bedroom comprises a queen-size bed, balcony, large walk-in wardrobe and an enormous ensuite with large bath, separate shower and double vanity. flat screen television and Foxtel with 95 channels. The second bedroom has twin singles or a king bed and built in cupboards. The family bathroom has a large euro-laundry (washing machine and dryer included). The apartment has ducted heated and air conditioning, and building six star facilities include spa, sauna and steam room. Offering fantastic views and location, elegant decor and furnishings these three bedroom, two bathroom apartments are a perfect location for romantic holiday, corporate accommodation or families looking for that special place. 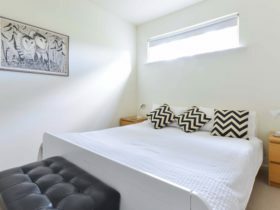 Accommodation comprises queen bed, two split kings (each can be either a king, or two singles), fully equipped kitchen, open plan living/dining with two 46 inch flat screen televisions, 95 Foxtel channels, euro laundry, ensuite and family bathroom with a bath. 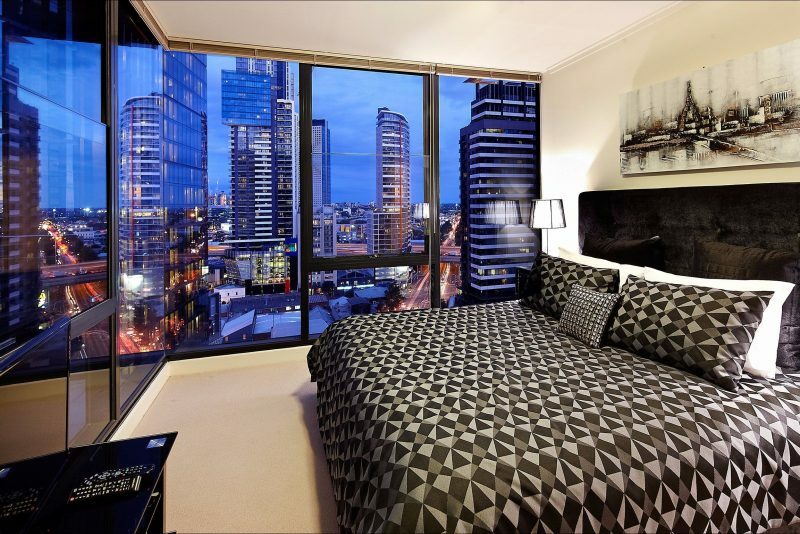 Open plan living and each bedroom boast spectacular views over Melbourne city. Including WiFi, parking for one car and 95 foxtel channels.